NZ Chocolate Award entries close this Friday! Don’t miss the chance to be named Supreme Champion of the NZ Chocolate Awards 2018! Entries close this Friday 31 August ahead of judging in mid September. Among the changes to categories is the eligibility for the Best NZ Made Product Using Chocolate. 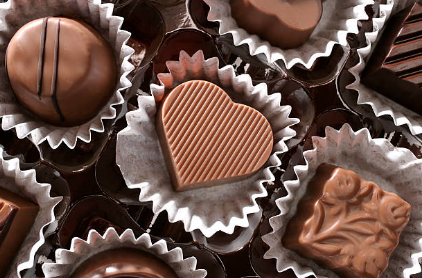 This year producers may enter goods made using local or imported chocolate. Examples include; spreads, sauces, ice cream, chocolate drinks, and bakery items just to name a few. Products which win in the NZ Chocolate Awards will receive the right to wear a NZ Chocolate Awards 2018 Medal – a seal of endorsement for consumers. Medals give consumers reassurance, showing they have been independently assessed giving consumers confidence to purchase. Ensure your product made with NZ or imported chocolate has the opportunity to wear its quality endorsement by entering it in the NZ Chocolate Awards this week! The organisers are pleased to announce the appointment of Elle Crocker aka Elle Coco as head judge. Elle will be supported by an independent judging panel of food experts. This year the only chocolatiers in the judging panel will be those without products in the competition. NZ Chocolate Awards Head Judge, Elle Crocker is an experienced chocolatier. Elle Coco is an experienced chocolate judge at the British Academy of Chocolate and the International Chocolate Awards. She recently moved to Wellington from London taking the long route and starting in Mexico, before covering off all of Central America and the western countries of South America, to visit cacao plantations, meeting growers and tasting chocolate along the way. 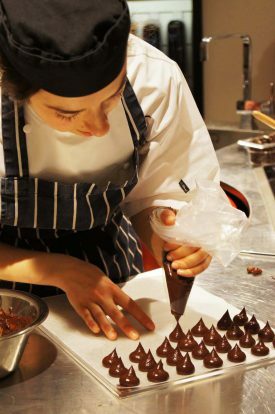 In London, Elle ran chocolate making workshops and classes for British chocolatiers, department stores and global companies, including William Curley Patissier, Harrods and PWC. In addition to running workshops, Elle has worked with new and established chocolate makers, including Damson Chocolate (UK), Tri Island Chocolate (Grenada, Caribbean) and Stamba Chocolatier (Georgia, Caucasus). Elle has hosted education and tasting sessions at London’s ‘The Chocolate Show’ and ‘The Grenada Chocolate Festival’ in the Caribbean. Organisers of the NZ Chocolate Awards, Intermedia NZ , (publishers of Hospitality Business and FMCG Business magazines), and Marvellous Marketing, welcomed Elle to the team saying she would add a new level of experience to the judging which would in turn help the country’s burgeoning chocolate industry. New Zealand chocolatiers have until Friday 31 August 2018 to enter online at https://www.nzchocolateawards.co.nz. Judging samples must arrive in Auckland between Monday 3 September and Tuesday 11 September. Judging will take place on Wednesday 12 September at Fresh Factory, Auckland. Results will be sent to entrants via email on Monday 17 September with Gold, Silver and Bronze medal winners made public on Tuesday 18 September. Best in Class winners, including the Supreme Champion will be announced on Friday 5 October 2018.